Single song released through digital download. Currently available through Amazon.com and other online digital retailers. 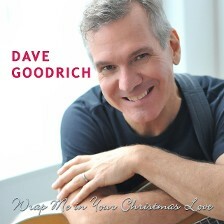 This Christmas season love song is Dave Goodrich's first original holiday release. Besides providing the lead vocals as well as all instrumental tracks, Dave Goodrich produced and engineered this new holiday classic.